A Pakistani health worker administers polio vaccine drops to a child in Quetta, May 12, 2014. The U.S. government will no longer use vaccinations as a front to obtain intelligence, according to a newly-released letter from the White House to 13 concerned public health school deans. But some experts say that the damage from high-profile ploys -- like the one used to help find Osama bin Laden -- is already done. "When it was discovered that the CIA had used vaccine workers as part of their undercover activities, it had a chilling effect," said ABC News' chief health and medical editor Dr. Richard Besser, referring to a hepatitis vaccination program in Abbottabad, Pakistan, aimed at getting DNA from bin Laden's relatives. In March 2012, Dr. Shakil Afridi, a Pakistani doctor involved in the operation, was convicted of high treason and sentenced to 33 years in prison. By that time, at least 16 Pakistani aid workers had been killed in attacks blamed on vaccine suspicion. "We'll never know for sure if that is why workers in Pakistan have lost their lives, but anything that compromises the trust in local vaccine workers can have a devastating impact on health," Besser said. 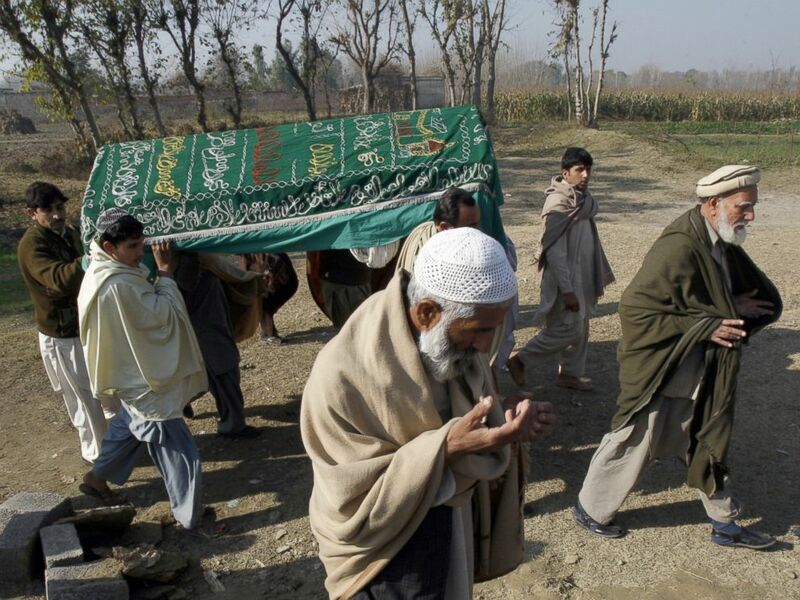 Mourners carry a coffin of a Pakistani charity worker, who was killed with other colleagues during yesterday's attack by gunmen, in Swabi, January 2, 2013. At the times of the workers' deaths, an American senior counter-terrorism official defended the vaccination program and stressed that the vaccinations were "real" and "conducted by genuine medical professionals." "The idea that these were in any way 'fake' is simply mistaken," the official told ABC News. "Many Pakistani children received vaccinations, and if the effort had not been interrupted by the arrest of the doctor, they would have been fully immunized." "The plan was for everyone to get the full course of treatments," the official added. A later attack on eight United Nations health workers vaccinating Pakistani children against polio prompted deans from 13 U.S. public health schools to write an impassioned letter pleading for the government to abandon "sham vaccination" programs in the name of intelligence. "While political and security agendas may by necessity induce collateral damage, we as an open society set boundaries on these damages, and we believe this sham vaccination campaign exceeded those boundaries," the deans wrote in their letter, dated Jan. 8, 2013. "As public health academic leaders, we hereby urge you to assure the public that this type of practice will not be repeated." 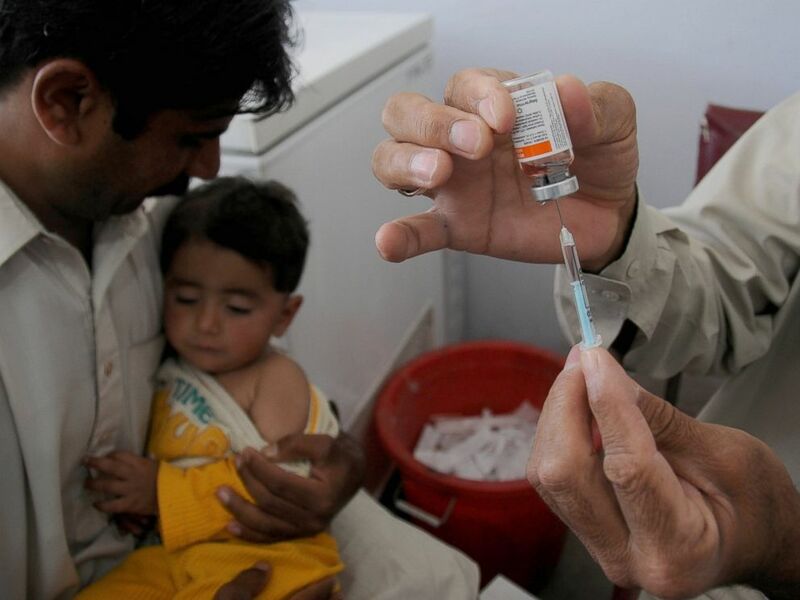 A Pakistani child is vaccinated during the measles campaign on the eve of World Immunization Week at a special medical centre set up at a state-run hospital, April 24, 2014, in Rawalpindi, Pakistan. In a response to the deans dated May 16, 2014, the assistant to the president for homeland security and counter-terrorism said the CIA had been directed in August 2013 to "make no operational use of use vaccination programs, which includes vaccination workers." The letter also thanked the deans for the "tireless work to improve global health." In a statement to ABC News, CIA spokesman Dean Boyd acknowledged that "long-standing extremist claims that foreign vaccination programs are spy operations run by Western governments" stood in the way of successful vaccination programs abroad, but said that other obstacles like "myths that vaccinations cause sterility or HIV" persist. Boyd also said that attacks on aid workers preceded the Abbottabad operation. "It is important to note that militant groups have a long history of attacking humanitarian aid workers in Pakistan and those attacks began years before the raid against the bin Laden compound and years before any press reports claiming a CIA-sponsored vaccination program," he said. Besser said he hopes news of the decision will help bolster efforts to eradicate polio, a vaccine-preventable disease that is still endemic in Pakistan. "It will take time to see if this restores any of the trust that was lost," he said. CIA Swears Off Fake Vaccinations - but Is Damage Done?